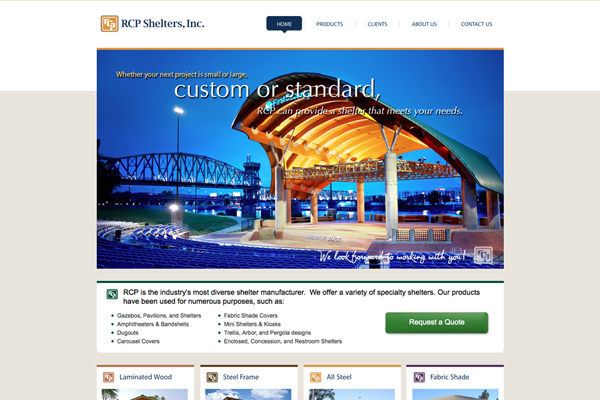 RCP Shelters Inc. had been in business for 50 years without any online marketing. With their industry going through changes, RCP adjusted its process to include internet marketing via SEO & SEM. RCP had one major requirement, a solid ROI to continue beyond the first year. 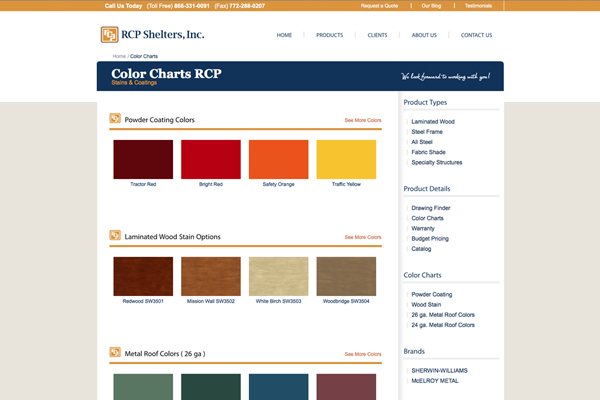 Over two years later, RCP is a happy client with plans to expand their presence into an online shopping environment. RCP Shelters had little internet presence when we started. This intrinsic value had been grossly overlooked. Trade shows dominated the industry with implied benefits that failed to live up to expectations. Since RCP was a fairly small operation with only a single location it was going to be difficult to compete on a national stage. RCP had a functioning web presence, but it lacked any type of SEO. The site was not user friendly and failed to create solid relevance with the search engines. 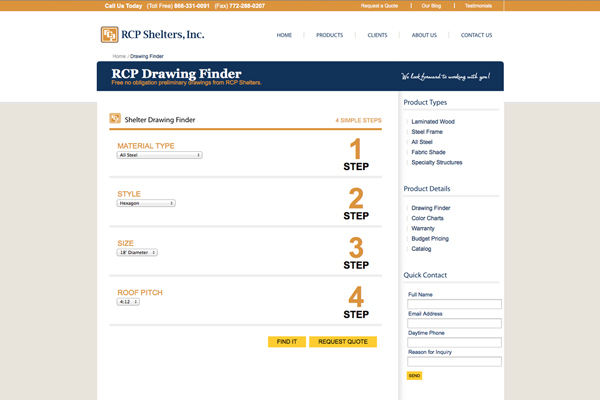 We used our new brand approach with RCP. Creating a new look and feel for their web presence was first. Then we created a solid platform for useful industry tools. By creating an environment for production, as well as shopping, we lured in a more informed level of consumer. Tracking phone calls and emails coming from the site helped us narrow our successful keywords overtime. 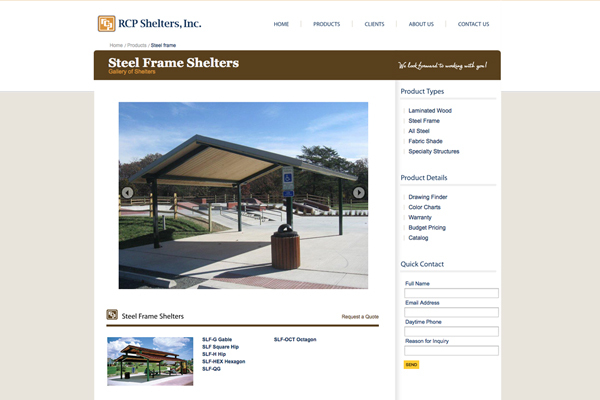 Today RCP is ranked on the first page organically for "shelter manufacturer, laminated wood shelter, steel frame shelter, bandshell manufacturer & more. 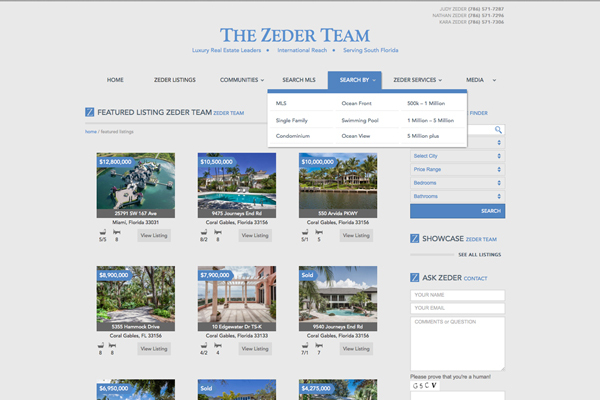 Zeder Realty is an upscale Real Estate agency servicing southern Florida. They came to SEADRIVE looking for a major face lift with their online presence. 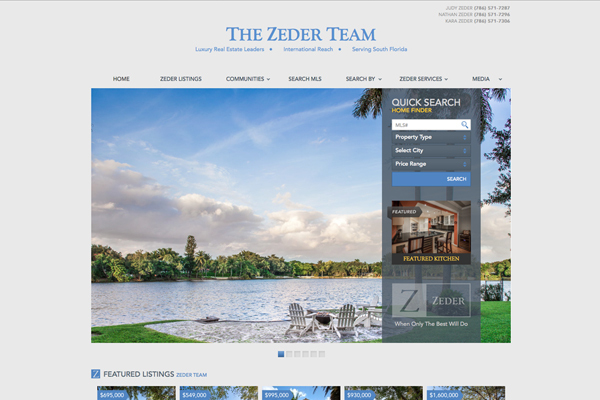 Their website failed to convey the culture behind Zeder and the high end real estate they deal with around South Florida. 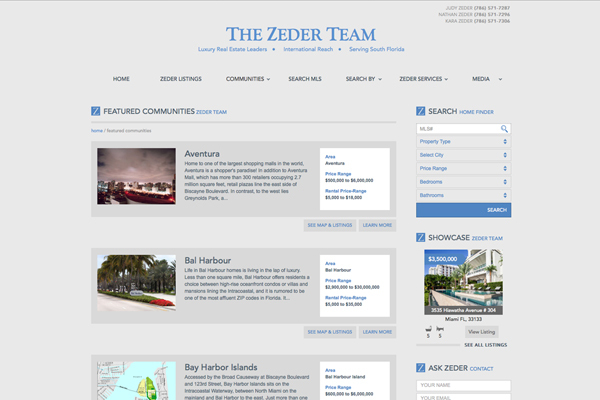 Zeder wanted a branding makeover and they wanted to make some headway on the search engines. Real estate is one of the toughest markets to succeed in. 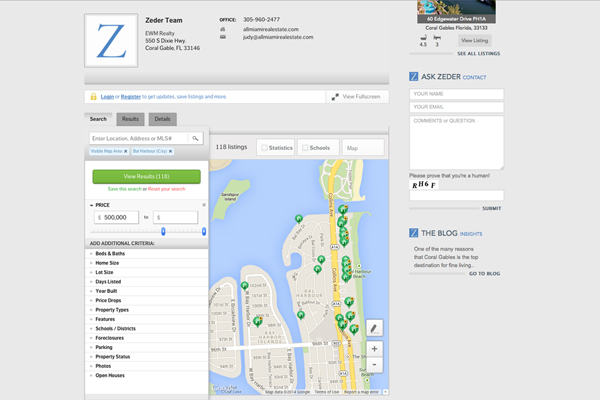 The content for every property sale site comes from one source (MLS). With shared content the search engine value is lost. The only way to truly compete is to create relevant data about the properties. Data that is custom and thorough. Create a brand the team can be proud of. A site with all of the new search tools available integrated with a clean upscale theme. Every part of the site is custom and the clientele appreciate that. 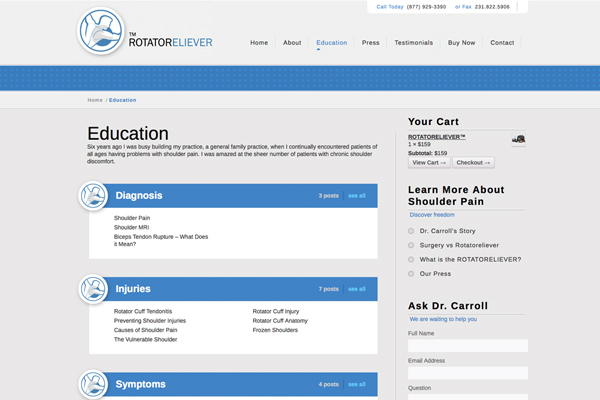 ROTATORELIEVER is an alternative to surgery method for healing shoulder injuries. 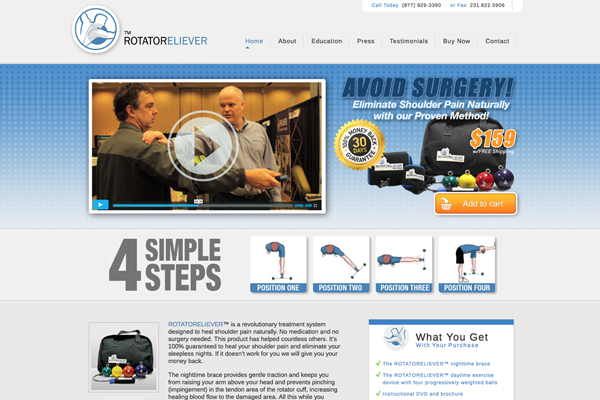 For two years ROTATORELIEVER failed to successfully market their revolutionary device. Based in Michigan this small company was at the edge of its financial rope. We successfully helped them start to make a profit and rebrand their fading presence. 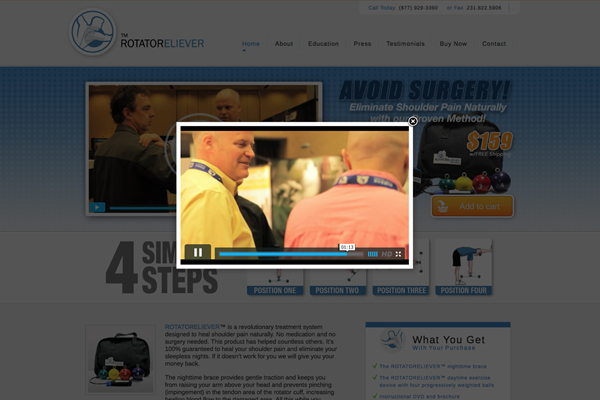 ROTATORELIEVER had already attempted to brand itself and do online marketing. Trapped in a bloated contract ROTATORELIEVER was losing money every month. The medical device and method industry is extremely competitive. With a small budget and a diving bottom-line. SEADRIVE design started with a complete brand makeover. 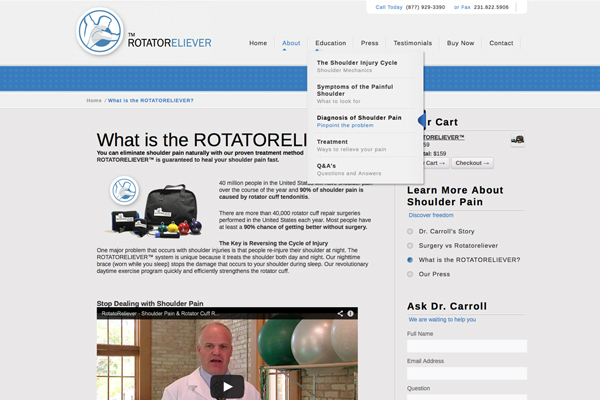 After cleaning up the image we filled the site full of knowledge and viable content about shoulder injuries. Finding affiliate sites to join our cause helped to spread the word beyond the internet. We simplified the buying process and guided the user through the product introduction process.